I completed my first sewing class project today! 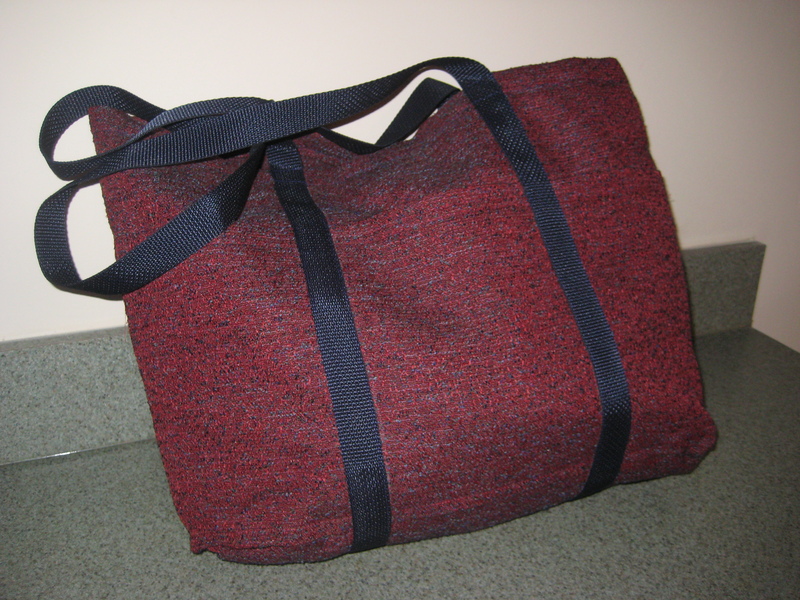 I made a 3 pocket tote bag with nylon straps. I’m going to use it as my sewing bag. I think its symbolic that my first completed project hold the supplies for my projects to come. When it comes to bags I’m more of a Marc Jacobs kind of girl but today I actually wore this bag while running errands; I even wore some burgundy skinny jeans to match it. I truly believe the work of your hands should declare your majesty to the world and all of those around you. This bag and its contents hold the dedication to my dream and the commitment to a craft that I am mastering more and more everyday. Currently in my new sewing bag along with my bobbins, thread, and other supplies is the pattern and material for my next project…a pair of pants. While the bag was a great way to get back into the swing of using a sewing matching and mastering different techniques, I cant wait to make some clothing. This Friday I should be done with the pants. Look out for updates! You’re off to a good start. I look forward to seeing the pants. Congratulations Nichole! I’m super excited and cant wait to see the pants. So proud of you for pursuing your dreams! Go spec! Now you can sew me a messenger bag!